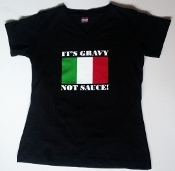 Our Products >> It's Gravy, Not Sauce! Shop It's Gravy, Not Sauce! 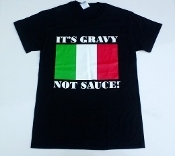 Apron "It's Gravy Not Sauce!" "It's Gravy Not Sauce!" 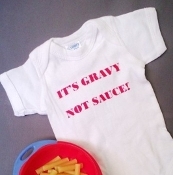 Black T-shirt Baby Bib - "It's Gravy Not Sauce!"